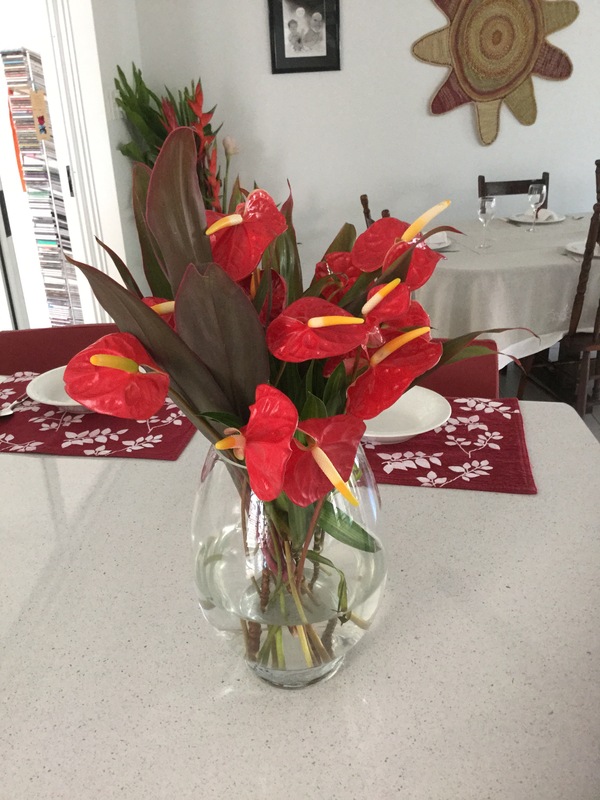 This week’s flowers are both tropical and local. I bought them on Saturday morning to add colour and life to the house. The reds and greens add drama to the decor. I hope these beautiful flowers have bought sunshine to your day. 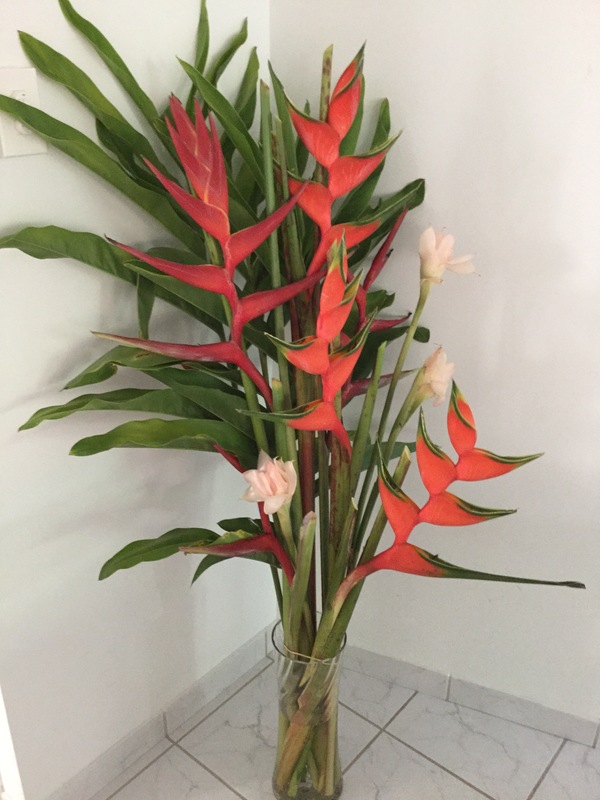 This entry was posted in Friday Flowers and tagged Friday Flowers, Tropical by cassmob. Bookmark the permalink. I grow some Heliconias in the garden. they are quite long lasting. Beautiful bouquets. They can be quite beautiful.